Developers at the Lofts at Westinghouse are targeting first-time home-buyers and are now offering financing assistance for down payments.Artists who have been priced out of the downtown market are finding refuge at a new, 62-unit loft building in Hyde Park. 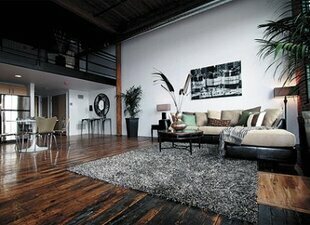 Prices for artist live-workspaces at the Lofts at Westinghouse are half the cost of typical condos in Boston proper. The development, built in an industrial park, was given the green light by Boston officials despite the nonresidential zoning because the developer promised to create affordable, live-workspaces for creative types who are being pushed out of many city neighborhoods. The lofts were granted an occupancy permit in February and are already 30 percent sold, said Carl Valeri, president of the Hamilton Co., the developer of the project. Approximately 50 percent of the units are slated for artists, and the remaining will be marketed to all buyers, said Valeri. The units have granite counter tops, stainless-steel appliances, original, 100-year-old hardwood floors, brick walls and high ceilings. The elevator in the building was built to accommodate large installations, and the lobby will offer residents a location to exhibit their pieces. The units, which range in price from $167,000 to $249,000, also come with deeded parking spaces.